Ticket King Milwaukee Wisconsin: Ticket King Milwaukee Has Cheap Hairpray Tickets For This Weekend! Ticket King Milwaukee Has Cheap Hairpray Tickets For This Weekend! Don't have any plans this weekend? I've got a great idea for you! 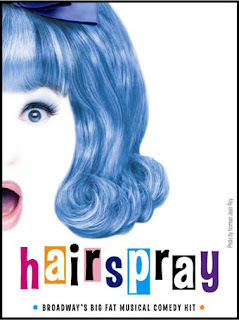 Why don't you head over to see the Broadway Musical Hairspray at the Milwaukee Theater! The show is going to be Friday and Saturday night at 8pm and Saturday afternoon at 2pm. We still have great seats left within the first ten rows for below face value!! We'd love to help put you in a great seat for the show this weekend! Hope to hear from you soon! Ticket King Milwaukee Has Basketball Fever!! TICKET KING MILWAUKEE LOVES RASCAL FLATTS!